Myanmar opposition leader Aung San Suu Kyi walks through the gardens of Government House in Sydney, Nov. 27, 2013. Myanmar opposition leader Aung San Suu Kyi will be resting for 10 days after undergoing minor foot surgery to treat bunions, her doctor announced Monday, saying the popular politician wants to avoid any rumors she is in failing health. The 68-year-old Nobel laureate went under the knife Monday morning at the Royal Asia Hospital in Myanmar’s biggest city Yangon, her doctor Tin Myo Win said. “It was a minor surgery…. Everything went well,” he told RFA’s Myanmar Service, saying she would be taking some time to recover from the treatment. He said that Aung San Suu Kyi wanted information about the surgery to be made public in order to dispel the possibility of any rumors her health was in danger during her recovery period. Bunions, or the enlargement of the bones or tissue around joints in the toes, are a painful but not life-threatening condition common in women, often provoked by tight shoes. The announcement of Aung San Suu Kyi’s surgery comes after a round of rumors on social media sites in August claiming she was gravely ill, prompting her to publicly reject the claims and caution journalists against repeating Facebook comments. A longtime pro-democracy campaigner who spent years under house arrest during Myanmar’s previous military junta rule, Aung San Suu Kyi has said she wants to run for president in the next general elections in 2015, though certain provisions in Myanmar’s constitution currently bar her from assuming the post. Since joining parliament nearly two years ago following a series of reforms spearheaded by President Thein Sein, the National League for Democracy (NLD) president has called for sweeping constitutional amendments, including changes that would allow her to run for the top office. During the more than 15 years she spent under house arrest over the two decades before her release in 2010, she was hospitalized on several occasions. 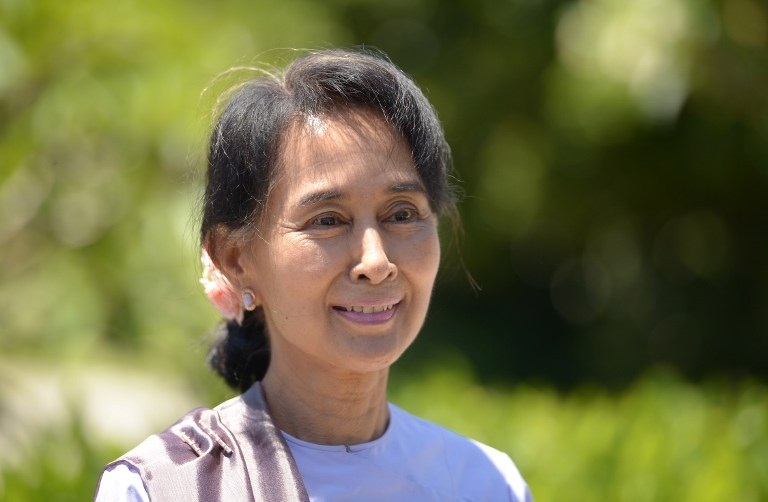 While on a tour of Europe last year to formally accept the Nobel Peace Prize, Aung San Suu Kyi fell ill at a news conference in Switzerland, prompting concerns that a busy travel schedule was taking a toll on her health. Reported by Nay Myo Htun for RFA’s Myanmar Service. Translated by Khet Mar. Written in English by Rachel Vandenbrink.